Traditionally caramel is made by caramelizing sugar. It has no nutritional value. Our version is simple to make and only has natural sugar from dates and honey. Discard all the leaves but one. Add infused milk, 1 mint leaf, honey and dates into the Vitamix. Blend well. 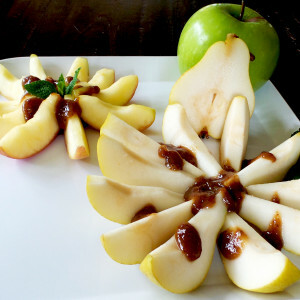 Serve with cut up apples or pears.